Run the setup file and follow the instructions to Install. Select a location to archive with Archive, Archive a Copy Menu. Select a subfolder creation scheme when archving your photos. Always start at this location. 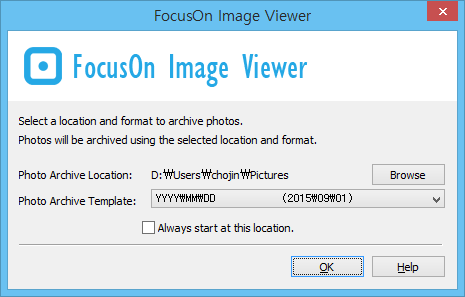 Set the photo archive location as a startup location of FocusOn Image Viewer.